As a parent, there is not much that is scarier than the thought of your son or daughter driving. Who is going to teach them (that person must be nuts)? How long will it take? What will they learn? What are the requirements? What are my responsibilities? Whether you’re choosing a driving school because your teen’s school doesn’t offer driver education, you did not get into the course taught through school, you don’t want your son or daughter to miss an opportunity to take another course because they took driver education, the decision is not one to be taken lightly. What Criteria Should I Use? While proximity, convenience, and price shouldn’t be overlooked, these shouldn’t be the primary decision-making criteria. Above all, you want to make sure that a prospective driving school is accredited. The DMV of the State of Vermont requires all Driver Education instructors teaching in private schools to complete 6 courses (Drivers Ed 1, Drivers Ed II, In-Vehicle, Zone Control, Educational Psychology and Drug Abuse and Driver Education). They must also have a background in education (I happen to have a master's in education and have spent the greater part of the last 25 years in education of some form or another), have a clean motor vehicle record, and meet all other requirements set forth by the State. As a parent of teens, I know I would also take a look at the school itself. How often does the school update their curriculum? Do they incorporate current events and timely data? How does the school involve parents? As a parent, what kind of interaction can they expect during the course? Do they utilize driving simulators? What are the course requirements, will there be homework, projects, etc? What is the policy for missing class? For missing a drive? You may also want to ask if/how the school make use of technology in the classroom. Does the school make sure that modern issues like road rage, the use of cell phones in the vehicle, and the numerous types of distracted driving will be discussed? Similarly, you’ll also want to make sure that the school’s curriculum is well-rounded, personal, and thorough. All driving schools in Vermont must teach a 30-hour curriculum including five hours of drug and alcohol education. However, it is up to each school and instructor to determine what will be included in the 30 hours. There are numerous commercially available curriculums in use across the State. Associates in Driving utilizes two different but parallel curriculums and we work VERY hard to bring current and relevant data to the course on a daily basis. Definitely, ask for recommendations. Does the school have Google reviews available? Are there testimonials on their website? What have your friends experienced? Ask about different driving schools in your area. Talk to friends and family that have already had this experience. If that’s not an option, try searching online or asking acquaintances to get a feel for a school’s local reputation. 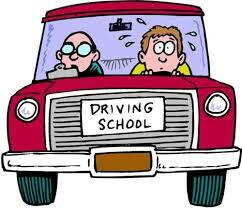 It’s important to make sure that your student is comfortable with the driving school and the instructor. Learning to drive involves a lot of time in the classroom and in the car; it’s hard to learn if that relationship is strained. Although it can be time-consuming to seek out the perfect match, it’s definitely worth the effort if you have a choice.